Glass bowl full of brand name scented lotions, gels, grooming kit and more. We are more than a food basket company. Baskets Galore by Sylvia is not a franchise, large corporation or drop shipper company, by today's terms we are considered to be a "Ma and Pa" shop and that's okay by us. Our aim is to offer customers: unique products, exceptional service or a more personalized feel. 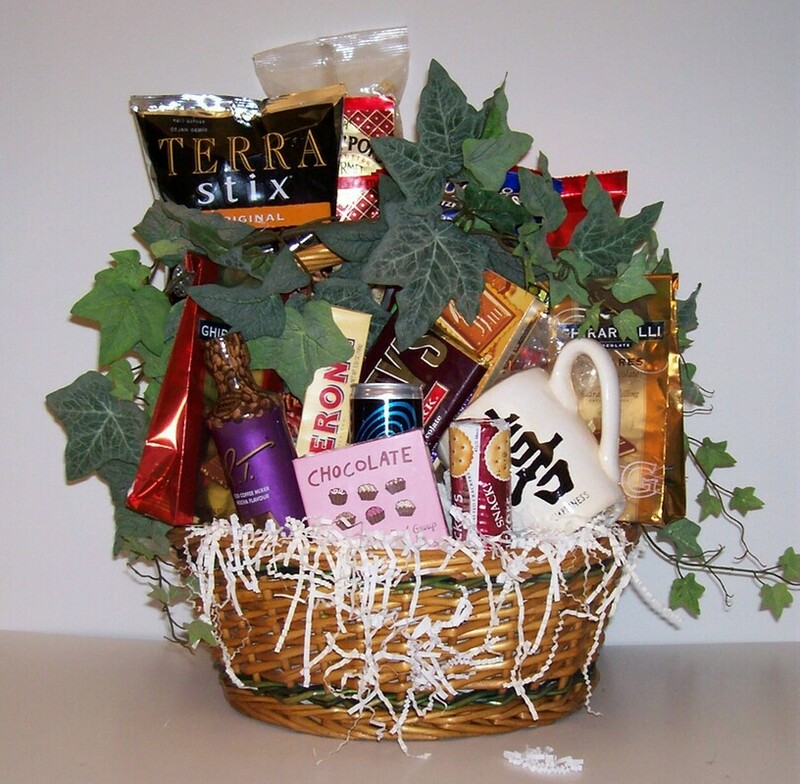 All our gift baskets are costumed made to order. A small company, a Ma and Pa shop and "Yes" we are happy to carry the title. Baskets Galore by Sylvia is excited to have the exposure of creating, providing and specializing in this type of gift-giving service. Our aim is to put small businesses like ours in the spotlight and enhance the beauty of gift baskets making them truly unique.